This dinner set will set a new vibe to the setting visuals at your next dinner. 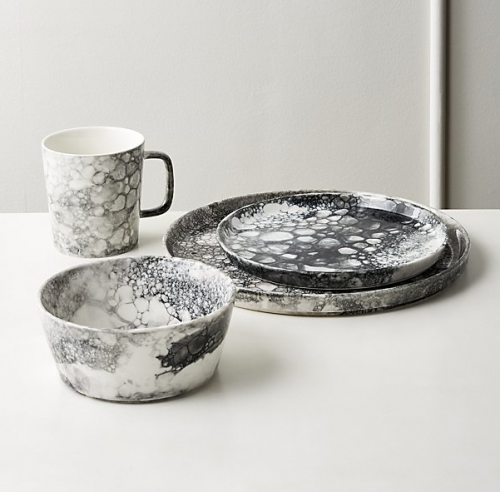 This dinner set bubble effect is created by dipping porcelain into a white and black soapy glaze, that is way too cool. This dinnerware is full of character that is a rare thing. It is a CB2 exclusive that you can get HERE.